⏩Combine the flour (sifted), baking powder and salt together and set aside Cream the butter and sugar about 4 to 5 minutes using the hand whisk until light and fluffy. ⏩Add the Eggs one at a time creaming the mixture together after each addition until everything is well incorporated. ⏩Please be careful not to overwhip at this point. 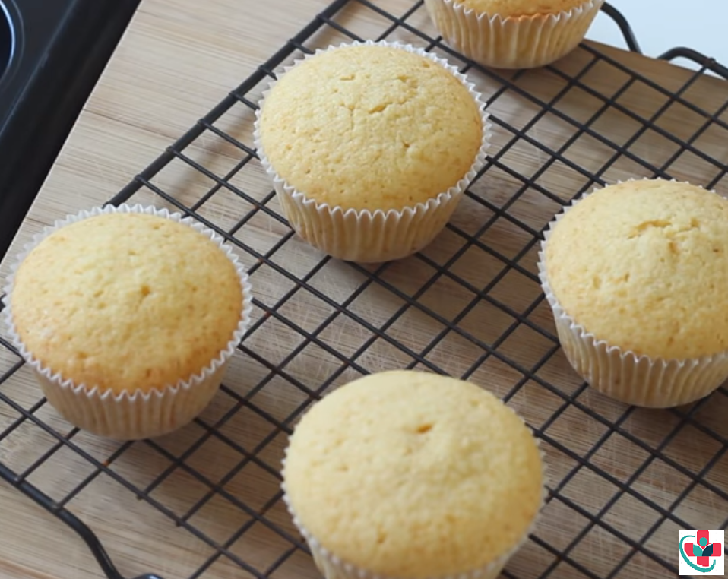 ⏩Divide the batter evenly into the muffin pan and bake for 18 to 20 minutes or till a tester inserted into the middle of the cake comes out clean. ➮Have all your ingredients at room temperature when making this cake. It helps to yield a better texture of Cake. ➮Be sure to measure your ingredients accurately, otherwise, the cake will not rise or set well.